Back on Nov. 26, our Lauren Theisen published a blog on our website titled “Mike McCarthy Shouldn’t Be Coaching The Packers Anymore.” Based on the word “anymore” in the headline, and the accompanying photo (of now-former Green Bay Packers head coach Mike McCarthy), and also the text of the blog, which described at length and in detail the American football-coaching failings of the Green Bay Packers’ then-head coach, Michael John McCarthy, born Nov. 10, 1963 in Pittsburgh, Pennsylvania, readers might have assumed that the “Mike McCarthy” in question was the Mike McCarthy who was at that point still the head coach of the Green Bay Packers, and not some other of the world’s very many Mikes McCarthy, like for example retired Irish rugby union player Mike McCarthy, who in fact never was the coach of the Green Bay Packers or of any other NFL team. Almost all readers made that assumption, but not all. In return, we would be more than happy to share you across MN2S social networks. Please do let me know your thoughts! Sheila! I have been deputized to say that we at Deadspin cannot add a link to your client’s profile page within that article. 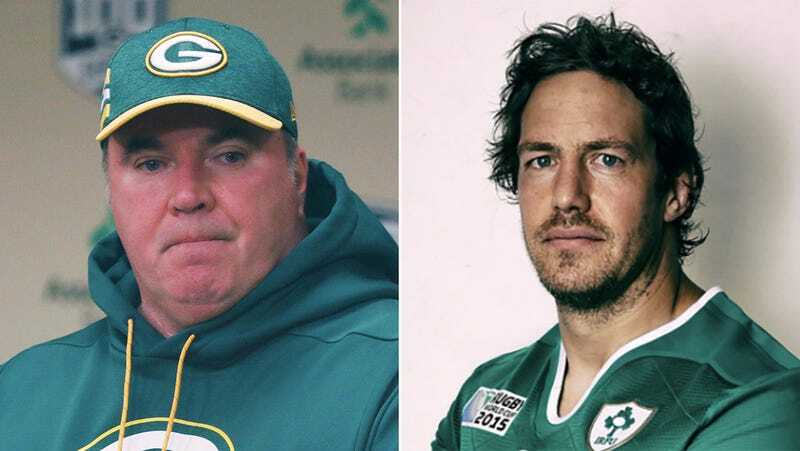 Unfortunately, that article actually was about former Green Bay Packers head coach Mike McCarthy, and not about an Irish rugby player who, so far as we know, never was the head coach of the Green Bay Packers. For that reason, it would be a breach of our journalistic ethics to suggest that the Mike McCarthy referenced at length in that blog was, in fact, Irish rugby player Mike McCarthy. However, I have also been deputized to affirm, in writing, that Irish rugby player Mike McCarthy also should not be the coach of the Green Bay Packers.